Are floating pond aerators noisy? Our old style Aerators used to get some comments that they were a bit noisy. However, we have changed the design of our floating aerators and now they are very quiet. They move just as much water as before, but all you hear is the splashing of the water now! The smallest model moves 500 gallons per minute, that is 5000 pounds of water! 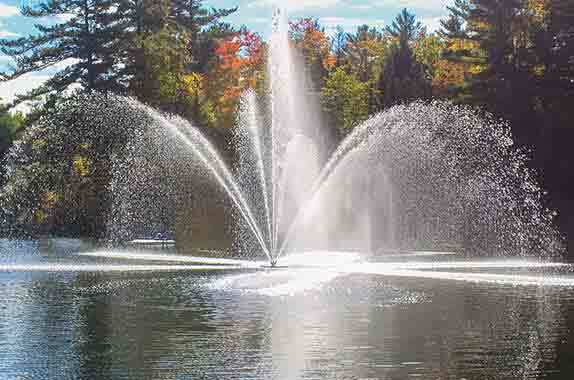 If your pond or lake is near a location where the sound of water is objectionable, then a different aeration solution or a lake fountain may be a better choice.